Posted on November 5, 2015 | Comments Off on Who tagged the Beaufort Sea polar bear with the tight collar? I’ve updated my post from last week to reflect that an inquiry to USGS has generated a statement that the Beaufort Sea polar bear reported by CBC last week is NOT one of their bears. Apparently University of Alberta researchers were also tagging polar bears in the region. See details in the updated post here. Kaktovik, where the bear was photographed, is not too far from the Canadian border of the Southern Beaufort Sea subpopulation, see USGS tracking map below. Original caption: “Movements of 3 satellite-tagged polar bears for the month of October, 2015. Polar bears were tagged in 2014 and 2015 on the spring-time sea ice of the southern Beaufort Sea. All 3 of these bears have satellite collar transmitters. 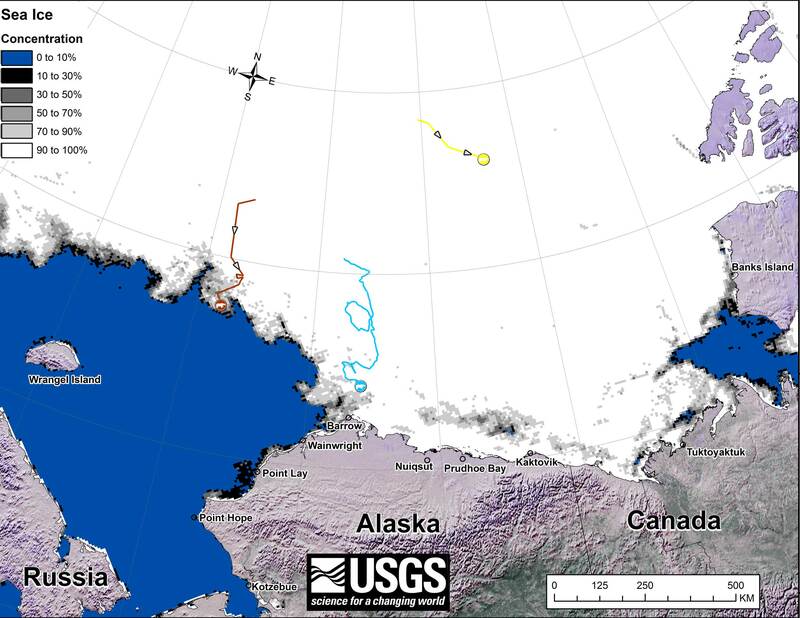 Polar bear satellite telemetry data are shown with AMSR2 remotely-sensed ice coverage for 31 October, 2015.” Click to enlarge. How long is it going to take for the people responsible to own up to this situation – and more importantly, remove the tight collar from the bear? 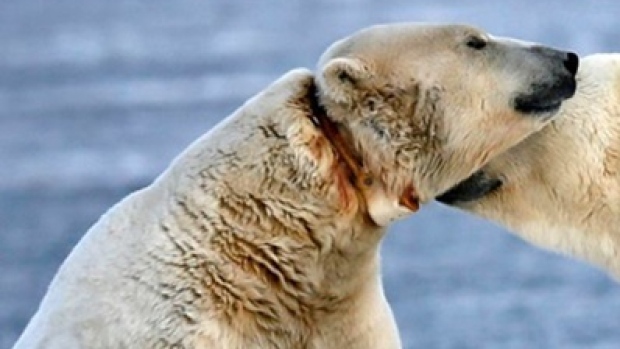 This entry was posted in Conservation Status, Life History and tagged Beaufort Sea, Kaktovik, polar bear, tight collar, University of Alberta, USGS. Bookmark the permalink.